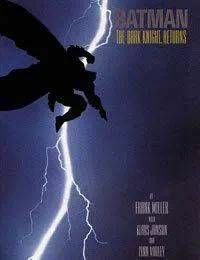 Batman: The Dark Knight Returns is set 20 years in the future. In the absence of superheroes, criminals run amok, and a gang called the Mutants terrorize Gotham City. Bruce Wayne has been retired from crime fighting for ten years following the death of Jason Todd, the second Robin. Despite Waynes funding of the rehabilitation of Harvey Dent (Two-Face), Dent returns to crime. Bruce, overcome with the grief of what Gotham has become, as well as being unable to resist his true identity as Batman, dons the costume again and apprehends Dent, and the populace debates whether Batman is a savior or a threat to society.